Being the artistic director of a major ballet company is like minding mice at a crossing. So many things can go wrong, and, it must seem, so few ever go right. The Royal Ballet has had a vexed history of artistic directors. Monica Mason’s predecessor, Ross Stretton, was sacked after a mere thirteen months, leaving behind a demoralized, volatile company. Mason, who from 1991 served as assistant to the previous director, Anthony Dowell, was parachuted in as a safe pair of hands after a lifetime of dedication to the company: she joined the corps at sixteen and became a principal in 1968, before switching to administration. Despite fifty-four years of history with the company, Mason looks forward not back. At her final curtain call, she said: “We must change in order to grow”. And thus her final, farewell season was designed not merely as a summation, but as a suggestion for the future. In order to stage the many works that had defined her career, classics were rationed in this memorial season: only Sleeping Beauty and that Christmas perennial, The Nutcracker, from the big nineteenth-century repertoire, although La Sylphide, sensitively staged by the principal Johan Kobborg, ameliorated the lack somewhat. Steven McRae partnered the company’s treasure, Alina Cojocaru, impressively, stepping in at extremely short notice after the sudden flight of the wunderkind Sergei Polunin. It was obvious even from the stalls that Polunin, aged twenty-one, was two things: potentially one of the great dancers of his generation; and a loose cannon. But you can do two things with a loose cannon: you can let it slide all over the deck, damaging itself and others; or you can secure it so it functions. Ballet companies are, by their nature, filled with adolescents and very young adults working at levels of unimaginable competition in a world in which they have been almost entirely closed off to outside influences since childhood. Mason must work, of course, with the dancers available. The Royal Ballet School, ostensibly the feeder for the Royal Ballet, in almost a quarter of a century has failed to produce a single dancer of international calibre. All the current graduates of international status joined the school only in adolescence, frequently cherry-picked after featuring in a prestigious competition. Mason has therefore had to do her own cherry-picking, hiring a roster of foreign principals for lack of home-grown. Many of them are fine dancers whom it is a pleasure to watch, in a repertory that is both broad and deep – it is a thrill to see Nijinska’s Les Noces, immaculately staged; if Sweet Violets by the young choreographer Liam Scarlett isn’t entirely coherent, it still promises much; the riches of the Kenneth MacMillan repertoire continue to nourish, with Song of the Earth making a welcome return. But in this season of Mason-ic celebration, with the twentieth-century British repertory highlighted (six Ashton productions, six Macmillan), it is clear that the once-vivid British style has almost vanished. Frederick Ashton’s choreography requires brisk, bright footwork counterpoised by a plastic, swooning fluidity in the upper body. Of all the Royal’s dancers, only Marianela Nuñez can claim total mastery of the style; Cojocaru is a close second, but her tiny frame prevents her upper-body work from carrying as vividly as Nuñez’s. Nuñez, in the “Fonteyn” role, led the rarely performed Birthday Offering, created in 1956 as a showcase for the Royal’s seven principal women. But apart from Nuñez, the current crop were unable to meet the combined requirements of terrifyingly difficult choreography and 1950s-nice-girl presentation. The few years the dancers spend in the Royal Ballet School mean that the Ashton style is an optional add-on, not the essence of their dancing. MacMillan’s expressionistic rigour is more within the grasp of the company today, as is the slick international style of Christopher Wheeldon, or the joint-dislocating gymnastics of the resident choreographer Wayne McGregor. Perhaps to highlight this all-styles credo, Mason decided to go for a mixed evening in place of a conventional retirement gala. The National Gallery selected three artists to respond to Titian’s three scenes from Ovid’s Metamorphoses; three composers were then chosen; three conductors; and then, bizarrely, eight choreographers to work in three teams (McGregor and Kim Brandstrup for “Machina”, Alastair Marriott and Christopher Wheeldon for “Trespass” and Liam Scarlett, Will Tuckett and Jonathan Watkins for “Diana and Actaeon”). The results are, unsurprisingly, uneven. Chris Ofili’s sets for “Diana” are lushly Chagall-ish (although his costumes are dreadful: bodies moving at speed are very different from canvas); Mark Wallinger’s set for “Trespass” is a wonderfully tenebrous Perspex cavern in a silver-chain wood; in “Machina”, Conrad Shawcross’s mechanical Diana is intellectually but not physically engaging. Similarly, Mark-Anthony Turnage produced a thrillingly danceable score for “Trespass”; Jonathan Dove’s “Diana” will bear repeated listening; while Nico Muhly’s “Machina” failed to excite. There were interesting sections in each piece, but as a whole Metamorphosis seems set to be quickly forgotten. Forgotten, except that it displayed two problems larger, and uglier, than ugly costumes. The Cuban Carlos Acosta is held up as the company’s symbol of ethnic inclusivity, but he joined the company already trailing stardust, and therefore has been permitted to dictate his choice of roles. Apart from him, the company fields only token numbers of black dancers, always in junior ranks. (At the moment, there are, to the best of my knowledge, three black dancers in a company of 103.) When given more than corps roles, these dancers are confined almost entirely to contemporary ones, or, worse, given “ethnic” parts, such as when Eric Underwood was recently cast in the creepily xenophobic Oriental parody in Christopher Wheeldon’s Alice in Wonderland, produced under Mason’s aegis. This lack of space for black dancers to flourish was highlighted by the Royal Ballet School’s graduating performance. As so often over the years, several black students performed well – this year it was the turn of the blazing Marcelino Sambé (also a recent recruit, after a competition success). Yet if current practices hold, they will either not be hired by the Royal, or they will languish in the ranks. There is another, equally obvious lack: of the twenty-strong creative team, just one, Lucy Carter, was female, one of few in the team to be asked to work on more than one piece (she lit all three, admirably). Meanwhile, Mason has commissioned not a single choreographer with two X-chromosomes during her tenure. 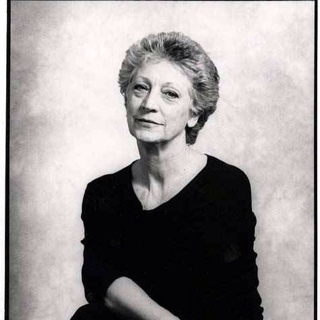 The last women to choreograph on the main stage even predate her predecessor: Twyla Tharp and Siobhan Davies were featured in 1995 and 1999 respectively. Taxed with this recently, Mason brushed the matter aside: “I have not commissioned any female choreographers to make work for the Royal Ballet during my tenure as director because, quite simply, I have not come across one that I felt was suitable. Choreography is not a gender issue – it is an issue of talent”. Leaving aside the question of whether it was not her job to nurture talent, not simply present it, one must ask, are there no contemporary women artists for the National Gallery to choose for this evening? Were Cornelia Parker, Rachel Whiteread, Gillian Wearing, Chantal Joffe, Marlene Dumas, Jenny Holzer all too busy? Were there no women composers? Conductors? Or did the question not even occur to those involved? I fear it is the latter. I fear it is not deliberate that black dancers are not welcome; it is not deliberate that women creatives go unhired. If it were deliberate, it would be easier to eradicate. But what is happening appears more insidious. It is a matter of people hiring those with whom they are comfortable, finding people who look and sound more (to use Mason’s word) “suitable”. Mason says: “We must change in order to grow”. One can but hope. This entry was posted in Journalism and tagged Ashton, Chris Ofili, dance, Jonathan Dove, MacMillan, Mark-Anthony Turnage, racism, Review, Royal Ballet, sexism, theatre, women artists by inspectorbucket. Bookmark the permalink. Mason’s point that it is a matter of talent not gender is surely pertinent. Is there also a possibility that Classical Ballet may not necessarily appeal to black dancers who have other traditions. Steven McRae did not replace Sergei Polunion in La Sylphide. He had always been due to partner Alina Cojocaru. Polunin had been due to partner Sarah Lamb. If you wish your comments to be taken seriously, do try to get your facts correct.